A private hospital is alleged to have treated almost 90 persons yesterday alone for symptoms associated with the much talked about Chikungunya virus. Kaieteur News was reliably informed by the doctor on duty at the Woodlands Hospital that several persons have been showing up at the health facility with high fever, rashes, joint pains, nausea and headache among others. This newspaper was told that in some cases persons have confirmed for the virus but are also showing signs of dengue fever and other bacteria. The publication was told that most of the cases were presented at the hospital early Sunday morning. When Kaieteur News visited the hospital after noon yesterday, a few persons were seen seated about the facility’s Emergency Room and the laboratory area. 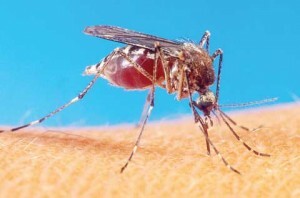 All of those this publication spoke with confirmed that they were there for symptoms relating to the Chikungunya virus. One woman, who identified herself as Sabrina from Onion Field, La Bonne Intention on the East Coast of Demerara, said she had taken her daughter to the doctor because she was troubling with high fever and nausea for a few days. She said that she was worried that the symptoms might be that of the virus since she claimed that someone in almost every household in her street has similar symptoms, but are taking regular flu medicine. She explained that there are a lot of empty lands with overgrown bushes in the area, pot holes and stagnant water in community drains. Sharmila Latchman from Covent Garden on the East Bank of Demerara said she has been suffering from fever, headache and joint pain for more than three weeks. Both women were awaiting laboratory test results at the time. A visit to the Georgetown Public Hospital Corporation also revealed that several persons were showing up with Chikungunya-like symptoms. The majority of the patients there seemed to be young children suffering mostly from fever and rashes. Kaieteur News was unable to contact Health Minister Dr. Bheri Ramsarran for an update on status of how local health authorities are handling the situation. However health officials early this month had said that the situation would get worse before it gets better. They were at the time addressing the spread of the virus which is being seen as an epidemic. As of July 29 last, the majority of the countries in the Caribbean, the United States, parts of Central America and the north eastern countries of South America have all confirmed Chikunguna cases, the Centre for Disease Control and Prevention noted. Local health organizations have urged citizens to take special efforts in ensuring healthy surroundings. Fogging exercises, the release of preventative and treatment information have all been efforts enforced to deal with the matter. Chikungunya is a viral disease transmitted by the Aedes Aegypti mosquito. The symptoms include high fever, joint pains, headache, nausea, fever, rash etc. Citizens should discard old tires and other unused containers around the home, keep drums covered, using insecticides and sleeping under mosquito nets.